There are three things I have learned never to discuss with people: religion, politics and the Great Pumpkin. There's no turning back now, the train is leaving...the holiday train. The season has begun. 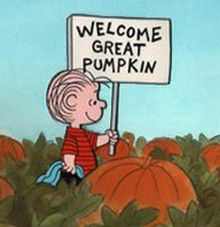 And unlike Linus, I always talk about politics, religion and now the Great Pumpkin. On possibly one of the rainiest October Saturdays in recent history, we officially kicked off the holiday season of 2012. Halloween has become ginormous, humongous, crazy big. And we're all left waiting for The Great Pumpkin, or are we? 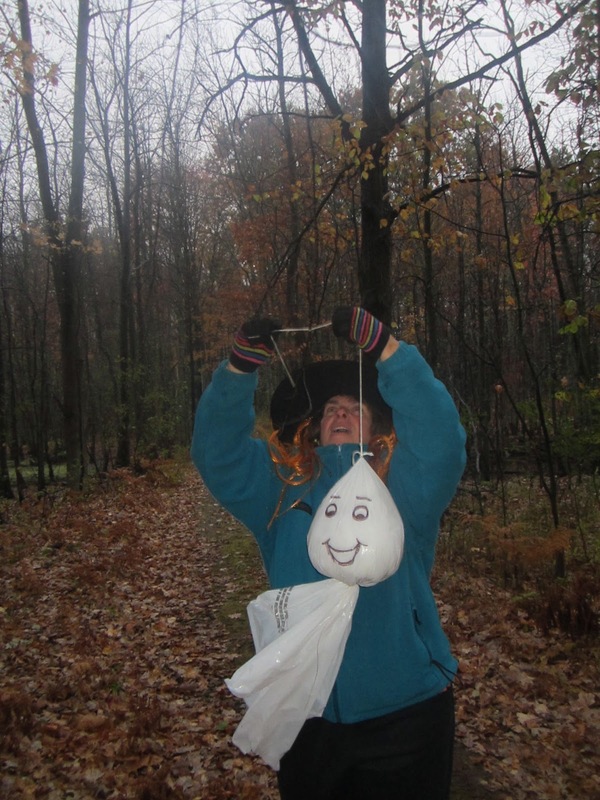 This past weekend, we had a Halloween Hoopla like no other. 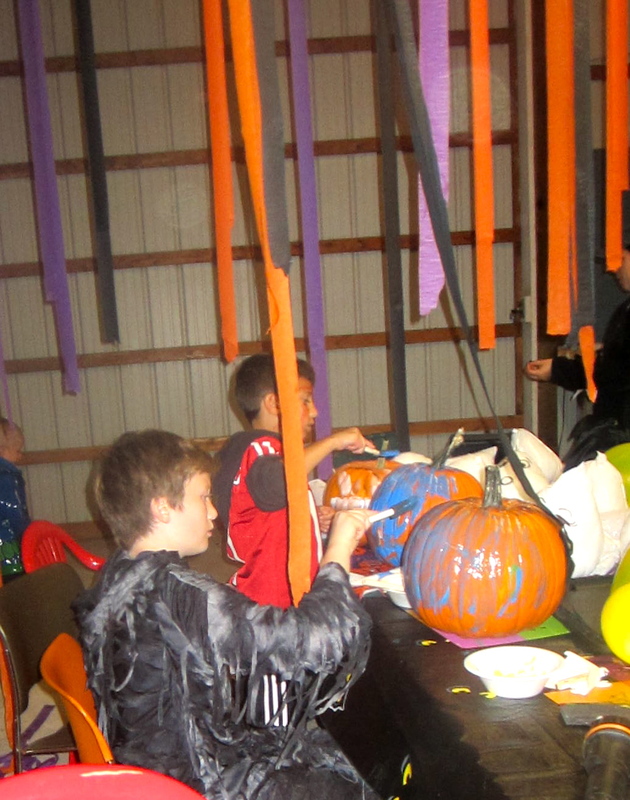 In fact, my husband's parents hosted an amazing Halloween party for all the kiddos. We decorated/painted/carved pumpkins like we decorate/bake/cut out cookies at Christmas. It's not just at the Hoopla, we go big at our house too. Here's our rockin' Friday night family pumpkin painting party. Back to the Hoopla in the pics below. 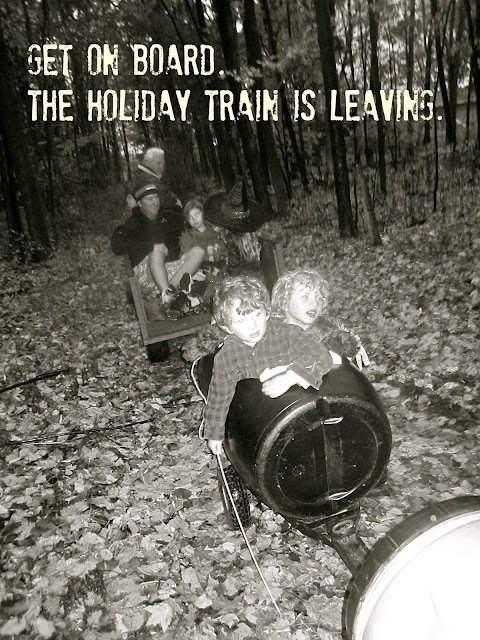 There were costumes, pumpkin bowling and tractor rides through the forest(when the rain let up). This is Tim and his twin brother, Terry, terrifying the kids on the tractor ride. They really got in the spirit of the season. 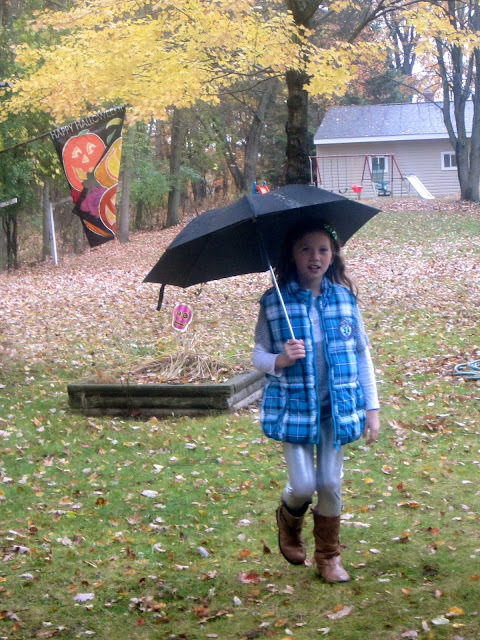 There were ghosts and trick-or-treating. And here's the thing, it was amazing. I am not a girl who is in love with the holidays. I've been called a Scrooge before. I've been called cold, unfeeling and grouchy too. But the holidays usually represent too much expectation and perfection. The holidays remind me of my mother crying when I was a kid and me being alone, a lot. Halloween is my new Christmas. It's all candy, parties and good times. It's costumes and cute PJ's. It's scary stories and did I mention candy? It's not too deep. It's not too much pressure. It's family. It's good times. It's perfect. Look at the way my father-in-law is looking at his wife, my mother-in-law, pure love. They are such a wonderful example of what a successful marriage/relationship looks like. No waiting for the Great Pumpkin for me anymore. I've found the most sincere celebration with my family. Tradition + Love + Scary Masks + Candy= Ahhh, Perfection. Here's the Charlie Brown clip. My favorite part is when Lucy takes care of her little brother. It's a true example of how you can think someone is an idiot, but still love them and help take care of them.